IRON MAIDEN‘s “The Book Of Souls” world tour has been on the road since late February, playing to over 1.5 million fans with 72 shows in 36 counties and six continents. They will play the final show on Thursday, August 4 in Germany at Wacken Open Air festival. ARTE Concert is going to feature the entire iconic performance on livestream. The spectacular gig will get lavish camera attention and can be accessed anywhere in the world — a sensational experience for anyone who cannot get to show. IRON MAIDEN manager Rod Smallwood says: “We decided to finish the tour at Wacken as it is the ideal way to end this magical tour playing to 80,000 core metal fans at this legendary metal festival. “Wacken has become such as international event with many thousands of fans from many other countries around the world joining and celebrating with the German fans, so it is perfect for the final show of a memorable tour. “Everywhere we’ve played, the fans have been amazing and the reaction to the new songs and stage show has been phenomenal. The band has loved every minute on stage. So when Wacken and ARTE asked us to consider a livestream of our performance there, we jumped at the chance to give our fans an end of tour gift. 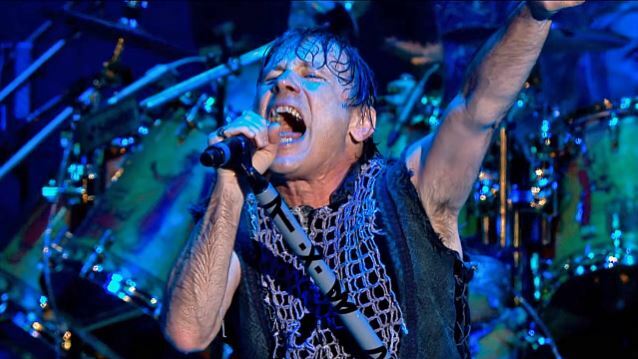 IRON MAIDEN‘s Wacken Open Air performance will be streamed on Thursday, August 4 from 9:30 p.m. CET worldwide at concert.arte.tv/de/wacken and www.wacken.com. 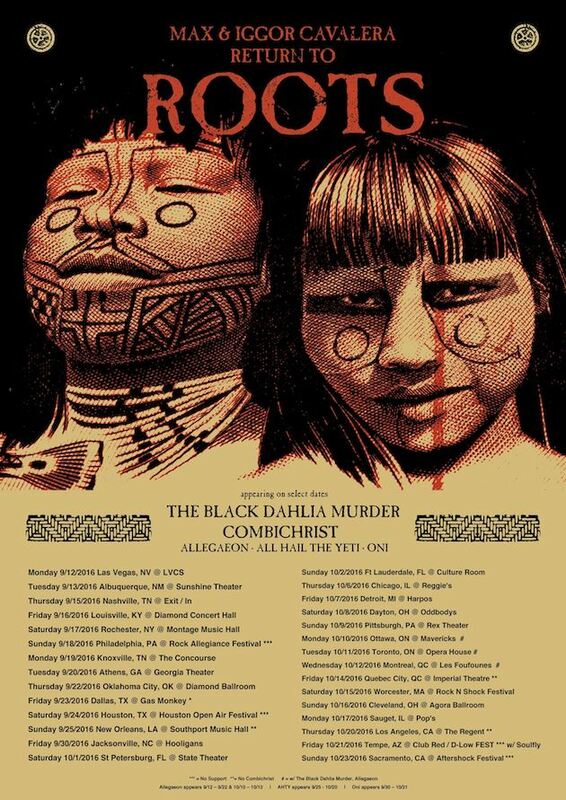 SEPULTURA members Max Cavalera (guitar, vocals) and Igor Cavalera (drums) will celebrate the twentieth anniversary of the band’s classic album, “Roots”, by performing the LP in its entirety on a North American tour in September/October. They will be joined by their CAVALERA CONSPIRACY bandmates Marc Rizzo (guitar) and Johny Chow (bass). The tour will feature support from THE BLACK DAHLIA MURDER, COMBICHRIST, ALLEGAEON, ALL HAIL THE YETI and ONI. Fans who attend the shows will be able to purchase special meet-and-greet passes from the merchandise booth. Max and Igor will take photos with fans who grab meet-and-greet passes and sign copies of the “Roots” CD, cassette or vinyl. This applies only to the “Roots” album. Only one autograph and one photo will be permitted per person. Tickets for most markets are on sale beginning today (Friday, July 29) at 10 a.m. ET. Later this year, Warner Music will release a special vinyl edition of “Roots”, in addition to a CD/vinyl box set of classic SEPULTURA records, with more surprises in store. Max and Igor played all of “Roots” at this year’s edition of the Amnesia Rockfest on Friday, June 24. Fan-filmed video footage can be seen below. “Roots”, along with 1993’s “Chaos A.D.”, is considered SEPULTURA‘s most commercially successful release, having been certified gold in 2005 by the RIAA (Recording Industry Association of America) for U.S. shipments in excess of 500,000 copies. In 1996, Max exited SEPULTURA after the rest of the band fired Max‘s wife Gloria as their manager. Igor left SEPULTURA in June 2006 due to “artistic differences.” His departure from the band came five months after he announced that he was taking a break from SEPULTURA‘s touring activities to spend time with his second wife and their new son (who was born in January 2006). After touring for a year and a half throughout almost every corner of the world and leaving fans of all nationalities breathless, the time has come for NIGHTWISH to immortalize their “Endless Forms Most Beautiful” tour on DVD. Therefore, the symphonic metal visionaries are set to release their new live milestone, “Vehicle Of Spirit” on November 4, featuring not only two full concerts, but also plenty of bonus material. 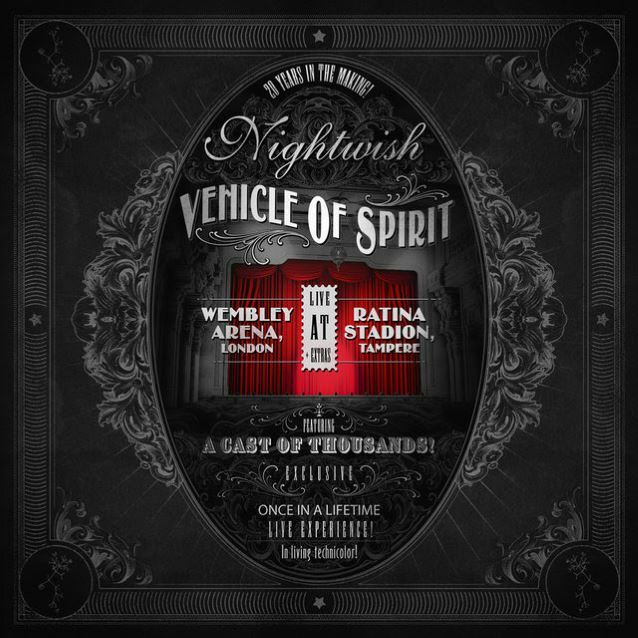 “The title ‘Vehicle Of Spirit’ came from a friend of Troy‘s [Donockley, multi-instrumentalist], who after seeing our show a few years ago defined NIGHTWISH as ‘a vehicle of spirit that defies category.’ That beautiful description has followed us ever since, and felt like a perfect match as the DVD title,” states NIGHTWISH keyboardist and songwriter Tuomas Holopainen. When it comes to the fine artwork of the DVD, NIGHTWISH decided to walk different paths this time and come up with a little alternative idea, as Tuomas explains. Planet Rock‘s Wyatt conducted an interview with EUROPE singer Joey Tempest and drummer Ian Haugland backstage at Ramblin’ Man Fair on July 23 at Mote Park, Maidstone, England. You can now watch the chat below. “War Of Kings” was released in March 2015 via UDR Music. RES 9 Management, along with Mascot Label Group, has announced that Rik Emmett and his new band, RESOLUTION9, have just delivered an album of eleven brand new rockers as part of a multi-album, worldwide deal. The album, titled “RES 9”, is tentatively slated to be released through Mascot Label Group in November. The members of RESOLUTION9 are from Rik‘s touring quartet: Dave Dunlop on guitar, Steve Skingley on bass, and Paul DeLong on drums, with Dave and Steve co-producing the project. Much of the album was recorded and mixed at Mississauga’s famed MetalWorks Studios, where Rik enjoyed a profoundly comfortable re-connectivity to his own roots. 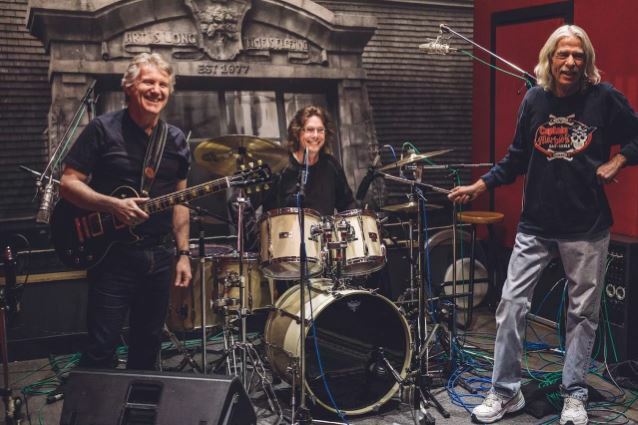 In fact, the other two founding members of TRIUMPH (Gil Moore and Mike Levine, from the trio that received eighteen gold and nine platinum awards in Canada and the U.S. in the ’70s and ’80s) reunite with Rik as special guests on “The Grand Parade”, a song that conjures 1979’s “Suitcase Blues”. Additionally, legendary guitarist Alex Lifeson of RUSH performs on two stellar tracks, with James LaBrie of DREAM THEATER contributing extraordinary guest vocals on two cuts as well. Canadian rock and Juno Hall Of Famer Rik Emmett says: “I’m really happy and grateful that Mascot Label Group gave our band complete freedom and trusted us to do our best. “Some might see this as a comeback record, but I’m really proud of the vitality the band generated. After twenty years apart, Emmett, Levine and Moore reunited for appearances at the 2008 editions of the Sweden Rock Festival and Rocklahoma. A DVD of the historic Sweden performance was made available four years later. Emmett has said in various interviews over the years that he would welcome the chance to play TRIUMPH songs with Moore and Levine again but that those two have been reluctant to commit. “If the carrot was big enough and golden enough, I think it would make Mike and Gil, but especially Gil, do it,” Emmett told the QMI Agency four years ago. Part of the problem, according to Emmett, is a desire on the part of Levine and Moore, the latter in particular, to embark on a TRIUMPH tour of old with big venues, tons of lasers, lights and pyro — something that most view as unrealistic for an act that hasn’t been an active touring entity for three decades. “If the offer was there, and it was a solid thing, and it wasn’t just speculative, then it would change the temperature of the conversation,” said Emmett. “But at this point, so much of it is just speculative. Swedish experimental extreme metallers MESHUGGAH have set “The Violent Sleep Of Reason” as the title of their new album, due on October 7 via Nuclear Blast. 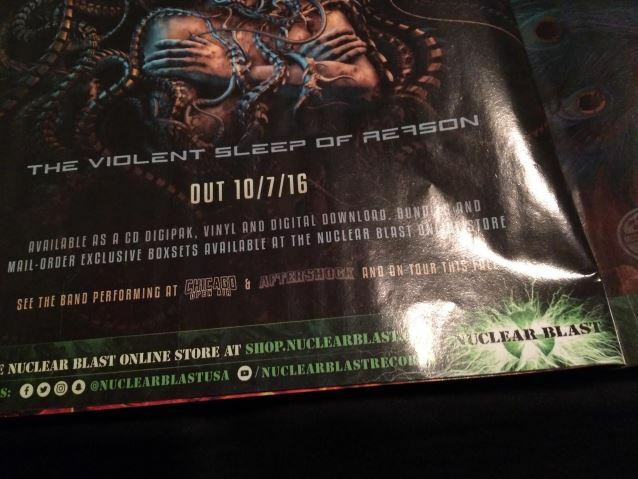 The CD’s title and artwork were apparently revealed in the new issue of Revolver magazine, which features a full-page ad for the effort. A photo of the magazine page containing the artwork, as posted on Facebook by a fan, can be seen below. As previously reported, MESHUGGAH will release the ultimate collectors’ piece, the “25 Years Of Musical Deviance” box set, on July 29 via Nuclear Blast. The set is limited to 1,000 units worldwide; only 585 will be available in the U.S. exclusively via the Nuclear Blast webshop. MESHUGGAH will embark on a North American headlining tour in October. Support on the trek will come from U.S. metallers HIGH ON FIRE. In 2014, MESHUGGAH was awarded an exclusive scholarship for its services to the Swedish and international music scene. The musicians were presented with the scholarship and diploma by SKAP president Alfons Karabuda at an intimate event in the south side of Stockholm. Meshuggah – The Violent Sleep Of Reason – October 7, 2016. Lets do this. – Shout out to John Leonori for the heads up. POISON will re-team with DEF LEPPARD for a U.S. tour in 2017, it has been revealed. The two bands first hit the road together back in 2009, and then again three years later. 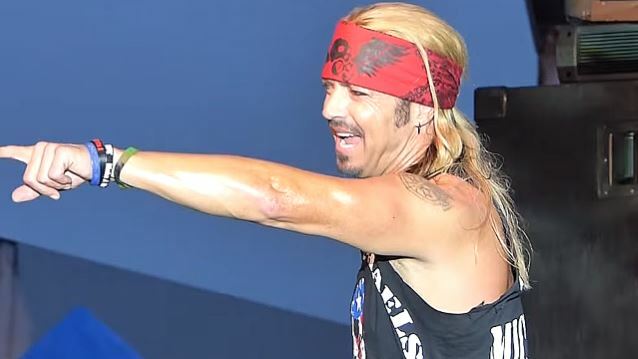 POISON appeared at the 2013 Indy 500 Miller Lite Carb Day, but has otherwise been mostly playing private shows, including one in January 2015. POISON hasn’t done any major touring since taking part in the 2012 “Rock Of Ages” trek with DEF LEPPARD and LITA FORD. He added, “My belief is that we’re better than them … but I would say that if they just said it about any band whether it be THE WHO or [THE ROLLING STONES] or THE BEATLES — not because I’m an arrogant idiot, but because when you’re in a band, you are absolutely a hundred percent allowed to believe that you’re the best band in the world.